The 2017 Student Art Showcase is currently open for public viewing. 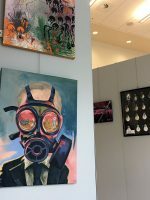 The exhibit opened Friday, March 31 in the South City Campus multipurpose room. Salt Lake Community College students were invited to submit entries in animation, graphic design, illustration, multimedia, photography and web design. Multiple students received awards for their creative works prior to the official opening. The Student Art Showcase will be on display through Thursday, April 13. The exhibit is open Monday through Friday from noon to 6 p.m. Admission is free. The 2017 Student Art Show is on display in the multipurpose room at South City Campus. 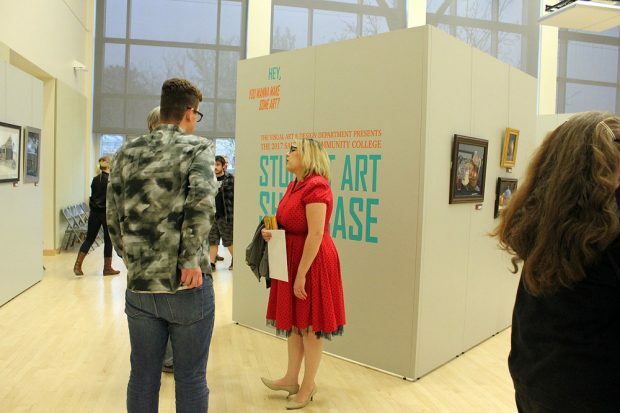 The SLCC Student Art Showcase attracting hundreds of entries every year. 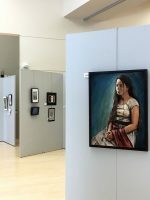 The Student Art Showcase gives SLCC students an opportunity to have their work displayed in public. The 2017 Student Art Showcase will be on display through Thursday, April 13. Members of the public visit the 2017 Student Art Showcase in the South City Campus multipurpose room. The showcase will be on display through Thursday, April 13. 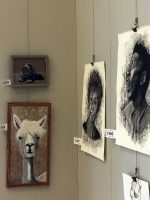 SLCC students produced artwork in a variety of mediums to be shown in the 2017 Student Art Showcase. 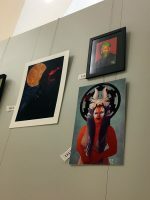 Select pieces in the Student Art Showcase earned special recognition prior to the opening. Visitors attend the 2017 Student Art Showcase in the South City Campus multipurpose room. The free exhibit will be open through Thursday, April 13.